Goal Africa - Remembering Jesse Parker, Inc.
Goal Africa began when Jake Parker, Jesse’s younger brother, traveled to Busolo, Uganda in 2011. He instantly fell in love with all the kids.He was amazed at how joyful they were for the 15 used soccer balls he had tucked in his suitcase. 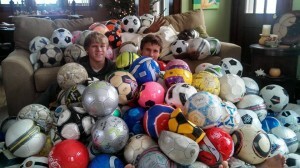 Jake loves soccer and was saddened to see them playing with garbage bag balls. 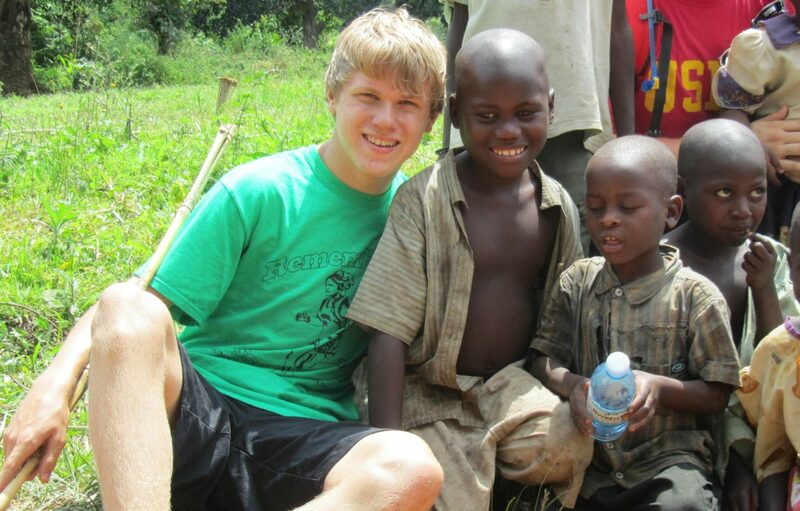 He knew he could make a difference.In 2013, Jake began Goal Africa by sharing his experience in Uganda and asking local children to collect new and used soccer balls. 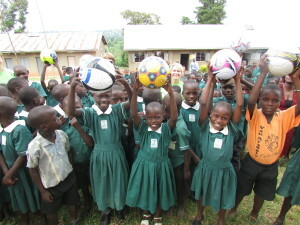 Each child was encouraged to write a message of hope on the ball. Support quickly grew from local Tomah clubs, businesses, and other community schools and clubs. More than 350 ba lls and 30 pumps and needles have been collected and delivered to 25 rural Ugandan communities bringing joy and laughter. We accept new or gently used soccer balls and we encourage you to write a note of hope on the ball. Please deflate balls before collection to allow for better packing. 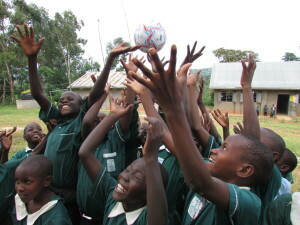 We appreciate new soccer ball pumps and needles as we deliver two new pumps to each school. If you would like to join this effort, please contact Jennifer Parker. For monetary donations, please designate “Goal Africa – Soccer Balls” with your donation. We welcome your support. 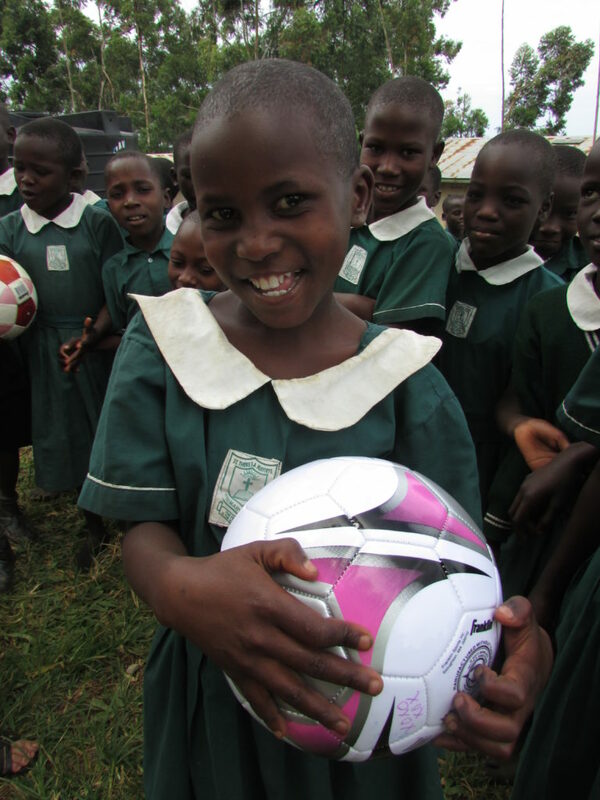 The next group of soccer balls will be delivered in June 2015.